Whether you're scheduling a weekend getaway or a cross-country road trip, use this travel checklist to spend more time adventuring and less time packing.Have it ever occurred to you - in the middle of a journey, you remember you forgot something very important? Oh! How frustrating?! I need not ask how that feeling was; but, sure it wasn’t a pleasant one. •1 percent travel for other reasons; reasons known to them alone. When it comes to traveling; for any purpose, there are certain most important things you mustn't forget to take along. For example, an entrepreneur going for a business trip must check, check again, and double check again that all the physical data/documents needed to carry out his business operations, while in the new location, are carefully arranged in his traveling box - if he doesn’t want to return as a failure. However, this article is centered at essential requirements to take along with you only if you’re traveling for vacations, celebration, adventure or relaxation purposes. Survey reveals that roughly 107.3 million Americans will journey 50 miles or more from home during December 23 through January; which is a 3.1 percent increase from last year and the most ever recorded. This shows how people are ready to travel this season. And while most people get carried away with the excitement of the journey, they often forget to pack the essentials items, that'll even make the holiday even more interesting. 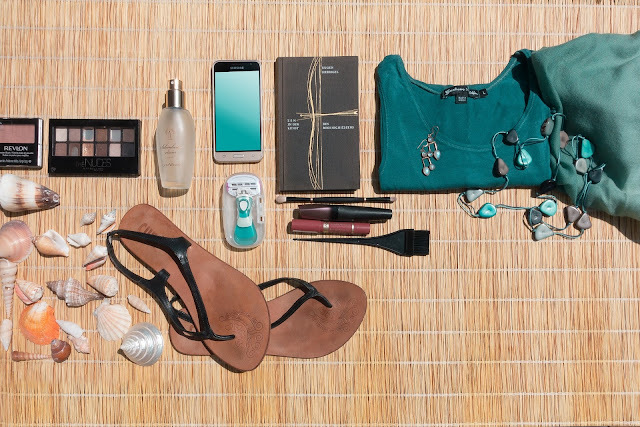 Below, therefore, is the ultimate travel checklist - while traveling for celebration, adventure or relaxation purposes. Home is one of the best places to be, you have everything organized in a place and you know the exact place to take each item when needed. For example, in case of a minor home accident, you know where to go to pick up the first aid asap, but traveling isn't the same. •Pain Relievers: Study shows that a 10 percent of human fatigue comes from sitting on a long distance journey. Also, the stress of driving for a long period of time can cause, body pain and joint pain; especially when it’s not something you’re used to. Little wonder while travel experts recommend transport your vehicle ahead of any journey. Howbeit that taking a small packet of painkillers like Paracetamol or Ibuprofen will actually help in treating any minor body pain. •Antiseptic wipes: In case of a sudden cut, antiseptic will be a great help for instant treatment and prevention of further infection. •Plasters: If you’re the type that travels with children, they play a lot and can easily get injured. Plasters, therefore, will also prevent infections in case of any cut. •Mosquito repellant: If going for camping is part of your holiday plan, it is important to take mosquito repellant, especially in the evening when mosquitoes get less friendly and more hungry. xD. •Hand sanitizer: The last thing you’ll want, is to adopt a contagious disease during your holiday period. Most especially if you’re traveling for the purpose of adventure or exploration, you must not forget to go with a sanitizer, it’s one of the simple ways to prevent or disinfect your hand from easily contagious diseases. Don’t forget to take some important books you’ve been planning to lay your hands on, as there will be enough time for you to read them. And if reading isn't your thing, you still have to go with some books in case you meet the unexpected, you won't feel totally bored. However, you can download some Ebooks to your phone - to safe space. One of the most important requirements to take along with you during travel (solely for adventure or exploration) is your adventure wears. This could mean, that little colorful hat, a roll-boot, hoodies, bugg trousers, etc. Also, since you’ll be doing a little of exploration and visitation, it’s important you take the necessary cosmetics, and if you’re a make-up freak, this includes you taking your make-up bag (for the painting, panning and the likes: you know what I mean :-( ). On a good note, just as auto transport companies helps to transport your vehicle from one location to another, you can arrange for the shipping of bag and baggage containing your adventure wears and cosmetics beforehand - to make sure you're not forgetting anything. The best way to keep memories of your journey, exploration, and adventure is by having a camera with you. You’ll be able to take pictures of families, friends, things you’ve never seen before, the way the environment is, or anything that picks your interest. Going with a camera and taking pictures of different things will give you the ability to look back on your trip, and remember the most wonderous details, both big and small. Don’t forget the weather can either affect your trip positively or negatively and is one of the things many people don’t consider before setting to go for their journey. The temperature is always cold during the winter months but still depends on where you’re going. A weather forecast can help your packing strategy, while the failure to check the weather can make you have a soggy trip. However, the winter season requires something warm to brave the chilly temperature. Here is a list of must-have items to put in your suitcase. Traveling for exploration, adventure or celebration is more than just visiting a tourist highlight or going to the beach with spouse and family; if proper preparation is not made and you forget to take the essentials, you might end up regretting your trip.